Baked Alaska is what I would call an Oldie but a Goody!! 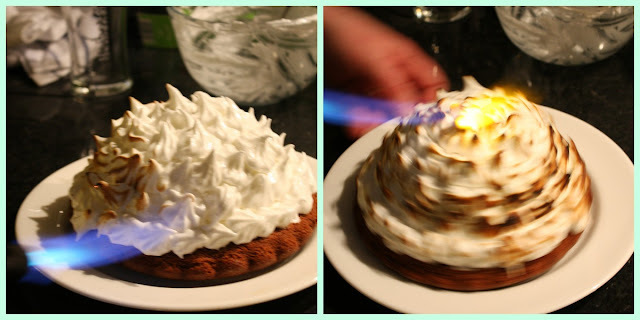 This weekend I arrived home to my parents house and had this idea that I would love to attempt a Baked Alaska. I have actually never eaten or even seen a baked Alaska in reality and when I mentioned it to my Dad he seemed less than impressed. Baked Alaska was all the rage in the 70's, but I think my Dad's perception of a Baked Alaska was very different to what I was setting out to create. 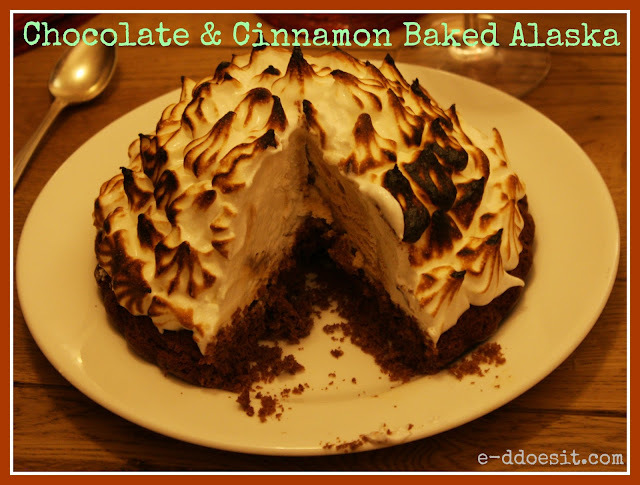 My mission began......making a stunningly spectacular and undoubtedly delicious Baked Alaska! 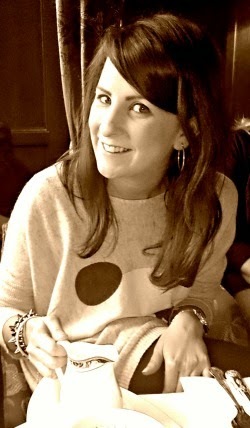 But perhaps more importantly proving my Dad wrong! This dessert comprises of an ice-cream centre, with a chocolate cake base, all topped with gooey meringue. I have to say, the different variations of this dessert you could create are endless, and I feel this might just be the first, in a series of Baked Alaska that E-D will do! Ice-Cream (a little pricey but very indulgent!). Place in the freezer in the bowl to set. firmly. Turn cake out on to wire rack to cool completely. 3. For the meringue, whisk the egg whites in a clean bowl until the mixture forms soft peaks. Whisk in half of the sugar until glossy and then fold in the remaining sugar. 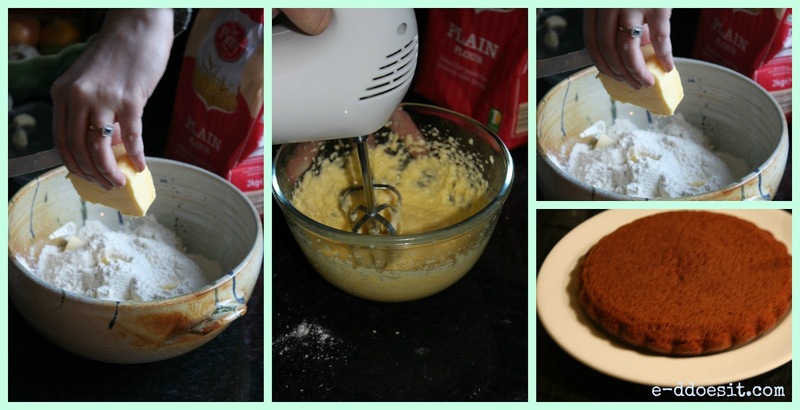 Remove the ice-cream from the freezer and place upside down on the chocolate cake base. Place the meringue into a piping bag (or alternatively spoon carefully) and begin to pipe soft peaks all over the ice-cream. Ensure to seal the ice-cream in, being careful not to leave a gap between the cake base and ice-cream. Finally, using a blow torch, gently heat the edges of the meringue until golden alternatively place the Baked Alaska into the oven at 220C for 3-4 minutes until the meringue is golden. Wow, that looks really fantastic! Yum! I like the addition of cinnamon.